Tried to upload an image, but apparently I need "Karma > 60"
In Bitwig 2.4, I cannot seem to drag the mixer horizontal splitter up very far. In the previous version, I was able to drag this quite far up the screen. is this intended behaviour or a bug? Which view are you in? If it's in Clip Launcher then you might want to disable clips or big meters, as they probably have some minimal height. Why would you want to make the Mixer taller? 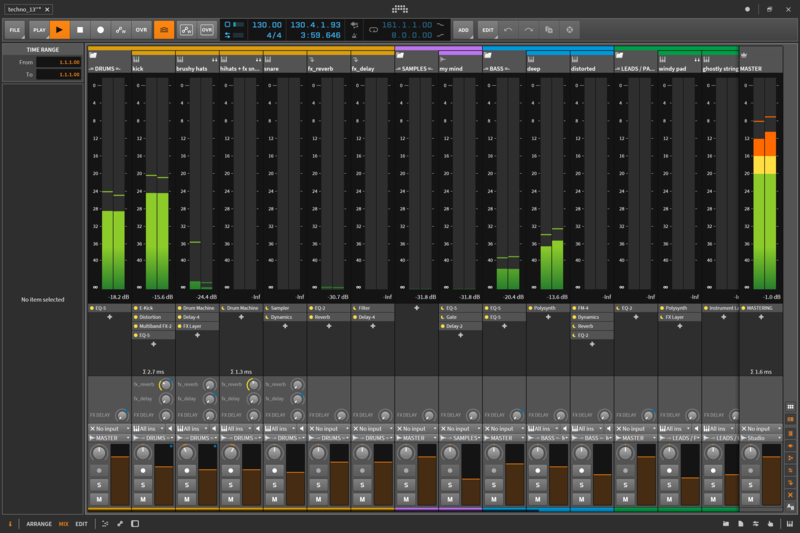 The faders have fixed height so you'll only see more of the device icons. I am in dual screen mode, and my mixer is on the left side ( I am not allowed to post screenshot here yet sorry). Above the mixer is the piano roll. When I am mastering tracks, I like expanding the mixer up so I can get a good look at the headroom I have, and it's really quite difficult to see now since it's all squashed up. Prior to 2.4, I could drag it quite far up the screen. The splitter just above the mixer previous to 2.4, I could drag much higher up the screen. Look how crushed the mixer bars are. Yeah, that's the view I am looking for. I believe the MIX button on the bottom left is highlighted, but I am clearly missing something. I will try it again and report back. Numerical entry for mixer volume?